I just love the pure beauty and artistic simplicity of William Hefner’s kitchen designs. If you are not familiar with William Hefner, he is a wonderful architect from California. He designs beautiful homes, but his kitchens rank high on the inspiration scale for me. Although not practical for the snowy northeast winters, I adore his use of steel windows and his streamlined aesthetic which is both sophisticated and beautiful. He has just published a gorgeous new book California Homes. William Hefner also has sent me a copy to giveaway to a lucky Willow Décor reader. As always, just leave a comment. Or as you know, current subscribers and followers are automatically entered to win. 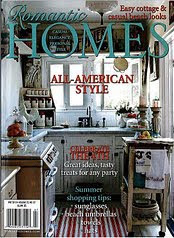 You can order a copy of California Homes HERE. Or visit his website HERE for even more inspiration. In other exciting news, Christopher Peacock inspires us once again with his stunning new kitchens on display in his fabulous new 5000 square foot showroom in the D&D building in New York City. The new showroom is breathtaking and Peacock has really created something special. Every cabinet, stove hood, and drawer pull reflect his outstanding quality and flawless design. It is glorious inspiration at every turn. Notice the beautiful curved cabinet and the butcher block integrated in to the center island. The showroom is not limited to kitchens, he has other wonderful installations including a library, bar area, dining room and a terrace. Though they wouldn’t disclose the cost of the new showroom, its clear that no expense has been spared! To see more of Christopher Peacock’s latest designs click HERE. Finally congratulations to “Yoga Girl” for winning the Magni Giveaway – please email me your shipping address. Modern, Magni & a Giveaway!! Work at my Beach House is nearly complete and we will be moving in by the end of May. I have decided to take a more modern approach to the furniture there. With ocean views from almost every room, I find myself drawn to the more simple lines of modern furniture in neutral tones. I have drawn inspiration from many places including Helene Forbes Hennie whose work is pictured above. I have ordered some lovely chairs, a bit more boxy, but similar to the ones above and I am still searching for the right sofas. I want to live in the space first so I can choose just the right furniture for us – so for now the house will be a bit of a mish mash while I edit and change up the things I kept from our old house. Another source of inspiration has been the work of designer, James Magni. I adore his peaceful interiors. They are just stunning. Of course I have no budget to change the kitchen of the beach house, but if I could, this is one kitchen I would use for inspiration. So simple and beautiful. And although my family usually uses the outdoor shower at the beach, this bath is just dream. You really feel like you are outside. It is so very Zen!! James Magni has a beautiful new book, Magni Modernism. The interiors are warm, inviting and outstandingly gorgeous in their restraint and simplicity. Page after page is filled with stunning examples of his beautiful work. Willow Décor was lucky enough to receive a copy of his book to share with our readers. Just visit James Magni’s wonderful website HERE and enjoy his work, come back and leave a comment about what inspired you. I will contact the winner by email on May 18. If you just can’t wait, you can order the book HERE. A special thank you to James Magni for the Giveaway - Check out his work and I know you will be as inspired as I am!! Been so busy these last few months but so excited to get back to blogging and let you know all about some new trends that I have been tracking. Just back from the Architectural Digest Home Design Show in New York on Thursday – what a great show! It’s fantastic to see AD showcase new, small boutique companies and emerging artists! We saw some really awesome products. One thing we saw a lot of was wood, wood and more wood. Wood used as wall applications, beautiful floors designs, cabinets, etc. We saw a lot of barn wood and repurposed old wood, both stained, painted and distressed. This was very interesting to me as I have just used 100 year old barn wood in my son’s room at the beach house (see below). One of my favorite new products that caught my eye is from a company called Moonish. We saw lots of Mid Century furniture styles and lines; and some great new artists creating lovely contemporary pieces. I adored the lines and the finishes from WUD Furniture Design. Here are some of their custom built ins as seen above and below. Their tables were beautiful but so hard to photograph, best to go to their website to see them. But what was most impressive was their furniture tops. They use copper, zinc and rolled steel. They encase it in a hard resin, so it is impervious to scratching and stains. And if you think the resin makes it plastic looking, think again. These tops have an incredible true patina which I had difficulty photographing. Check out WUD Furniture HERE. Also saw many companies trying to bring the luxury of the indoors – outside. The West Coast is famously successful at creating gorgeous outdoor living spaces, but here on the East Coast our climate is not as forgiving. I just loved this well constructed, bamboo and cedar pre fab outdoor shower. Made by a small Massachusetts company called OboRain, it will withstand the New England winters. It comes shipped flat packed and is easily assembled. The design was minimalist and beautiful. You can see many other styles at OboRain HERE. Also discovered a “new to me” hardware manufacturer, Sun Valley Bronze. Similar to Rocky Mountain Hardware, but with exquisite patinas and styles both for the “mountain” and the “city”. Now on to the Beach House… It has been a busy few months. We have been re- plastering almost every wall and adding tons of period style trim work and beadboard through out the entire house. We also replaced several windows, which helped expand the ocean views. We also changed out a slider to windows, which helped enhance and correct the flow of the interior. Here is a Before photo of the five unit contemporary window that was installed in the front of the house several years ago. I felt it distracted from the period style of the house. 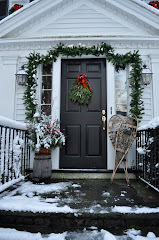 And here is the After – still waiting to finish the outside trim work (will it ever stop snowing here?!) Notice the new windows are 6 over 1 (mullions) and more appropriate in keeping with the 1920’s shingle style. Another peek - Here is the upstairs hallway before we added all new trim work and detailing. The plaster, though not really visible in this photo was in need of repair. Notice the bead molding that runs along entire ceiling length on the right. Here is the After - New plaster was applied to repair and highlight the beautiful crisp angles of the space. Beadboard and trim were added to accentuate the great architecture and visually bring your eye up to create the illusion of a higher ceiling. The Farrow and Ball paints are stunning and reflect the light beautifully. The trim is Pointing and the walls and ceiling are Borrowed Light. Floors still need to be refinished and new lighting fixtures need to be installed, but we are getting close. Finally here is a peek at the new wall treatment in my son’s room, above is the Before photo. 100 year old barn board from Vermont was added to two walls and the other two walls will be painted a driftwood gray. The wood adds the most awesome back drop! Keep tuned in because I will be enhancing the wall with a “really cool” (according to my son) treatment. It’s going to be great! I will post about it very soon. I am just excited to be back to blogging. Been missing you all and now that things are slowing down to a more manageable pace we can all reconnect!! Hope you have been doing well and I would love to hear from you! Have a great weekend!! !